One of the key factors in Chinese medicine, and for those of us who specialize in fertility and women’s health, is helping our patients to manage their daily stress and their battles with the fight or flight response. In dealing with pregnancy, whether you are using ART (ivf) or trying the natural way, in conjunction with acupuncture and Chinese herbs, we use the three free therapies. OK, so they may not all be free… but hard work and at home determination can be almost free. The three free therapies are exercise, nutrition, and mind-body. In this blog, I want to talk about the mind-body portion of the three free therapies. Mind-body medicine is the idea that we can provide self-care through feelings, thoughts, and behaviours because of the inseparable connection between our mind and body. This enables us to take control of our health by reducing stress to thereby improve our health, well-being, energy, and even fertility. Stress reduction is achieved through the “relaxation response” which changes both the emotional and physical responses to stress by decreasing your heart rate, blood pressure, and muscle tension. This makes mind-body medicine the ideal complimentary treatment alongside other health modalities such as acupuncture, massage, and herbal medicines. 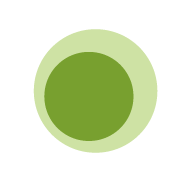 Circle + Bloom is an easy and effective way to improve your health. Their guided visualization programs are made available in either CD or mp3 format that can be conveniently listened to anywhere that you feel comfortable for only 15 minutes a day. They provide general programs to improve your overall mind-body health, quality of sleep, and men’s health but also have more specialized programs relating the mind-body connection to fertility, IVF/IUI, egg donation, and healthy delivery just to name a few. The programs by Circle + Bloom work by using visualization to activate the mind-body connection and to create the relaxation response. By visualizing ourselves as happy, healthy, and fertile individuals, our bodies are more likely to see these thoughts as reality and act accordingly. As we know, stress damages every aspect of our health including our mental, emotional, and physical health; when we feel less emotional and physical tension, the effects of that stress are also reduced which will then leave us as more healthy and balanced beings. You will also feel empowered using these programs because you are taking control of your health and are refusing to give up on the possibility of a happy and healthy life for you and the life that could grow inside of you. At Whole Family Health we encourage all of our patients to participate in the Circle + Bloom meditations. We clearly notice that when they do their goals are achieved more often, they sleep better, and they have more energy and an increased sense of well-being. For more information on the Circle + Bloom audio programs, please click here. This comment sums up what the combination of Chinese Medicine and meditation can do for our patients. If you feel like you are at the end of your rope, hold on – there are a few more options around… pick up a Circle + Bloom Mp3 or CD, combine that with some acupuncture, and be proud of the fact that you are being pro-active in reaching your health goals!